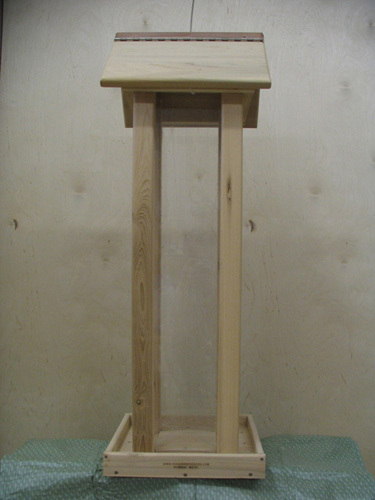 This beautiful hand crafted cedar feed holds up to 20 Quarts of food. Hopper Size: 5.75" x 5.75" x 29.75"
Enjoy this quality white cedar long lasting feeder hanging (standard), mounted with our optional rail deck mount, 4x4 mount, or pipe fitting mount. Just specify how you want to mount it.